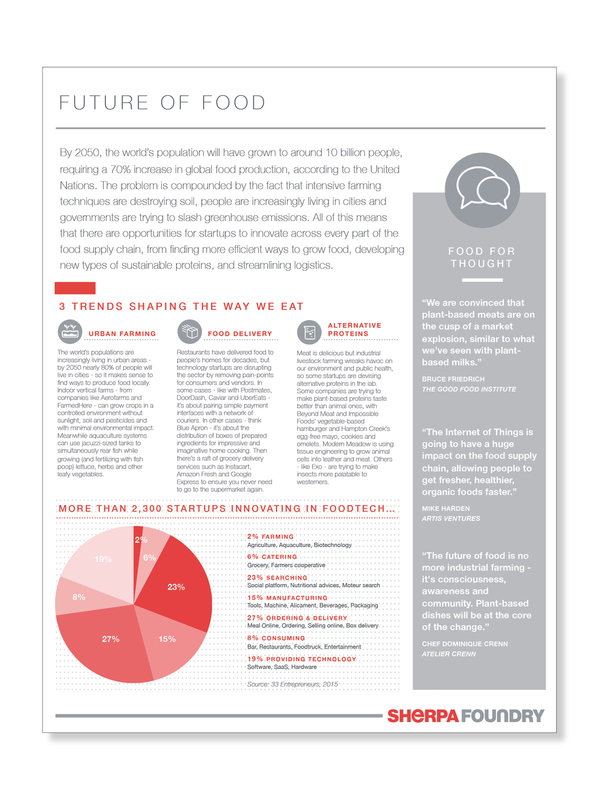 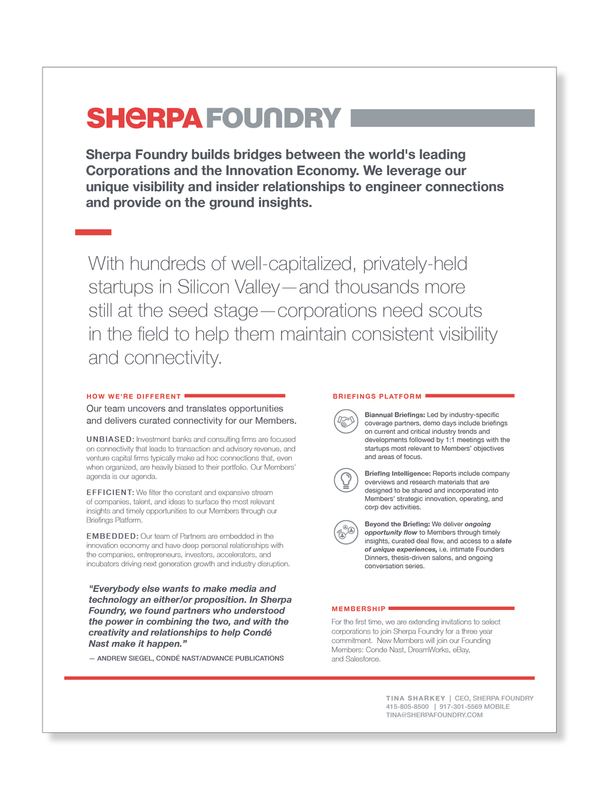 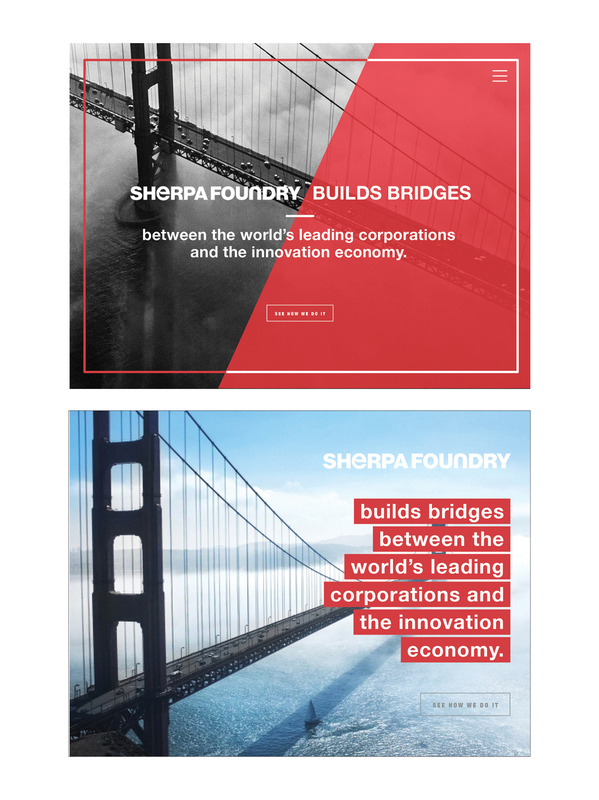 Operating under their larger company, Sherpa Capital, Sherpa Foundry needed materials to set themselves apart in San Fransisco’s tech scene while clearly communicating who they were to their partners and future partners. 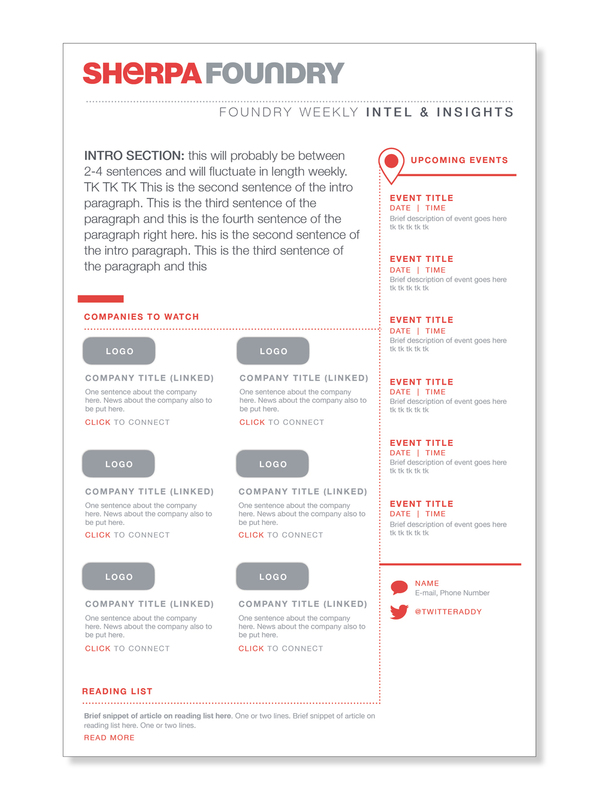 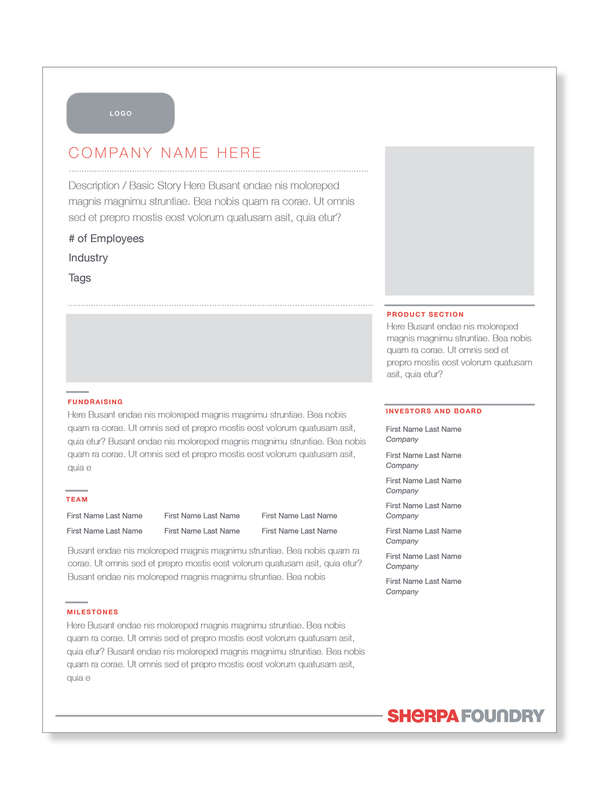 Playing off their brand sensibility, I developed a system of marketing materials that are dense with information, but easy to digest due to the clean layout. 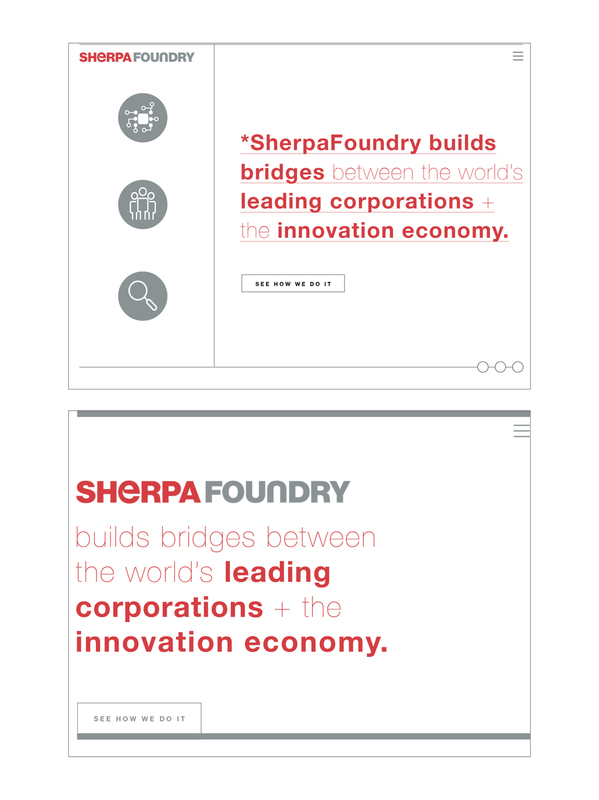 Enlisting the help of the talented Mia Fabbri, we are also working on an extensive web design.